Lewis was a Native American self-taught ceramicist from Acoma Pueblo, New Mexico, known for her black-on-white pottery. She produced pottery by hand using coils. 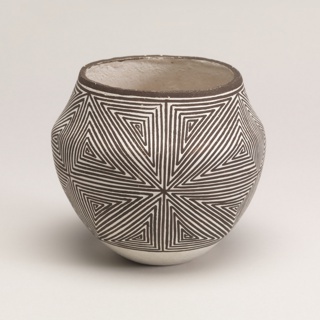 Lewis was inspired by Anasazi and Mogollon cultures and revived the eleventh-century Mimbres style pottery characterized by black lines on white slip. We have one object that Lucy Martin Lewis has been involved with.